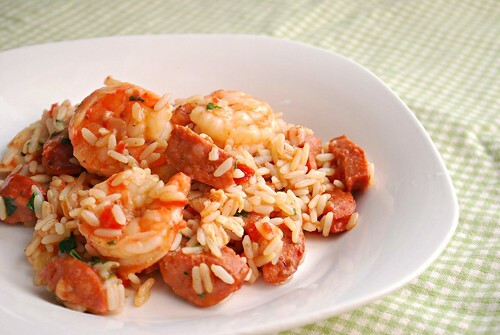 It's no surprise we love our rice dishes... and jambalaya is no exception. We especially enjoy the combination of shrimp, sausage and chicken mixed in with a tomato based sauce to make it a true one pot meal. For this version of jambalaya, I added a bit more hot sauce plus more for serving on the side. The key is to really use quality ingredients. For the shrimp, I used 21-30 sized shrimp (which is 21-30 shrimp makes up about 1 pound of shrimp). I wouldn't recommend anything smaller since they would cook too fast and end up rubbery. 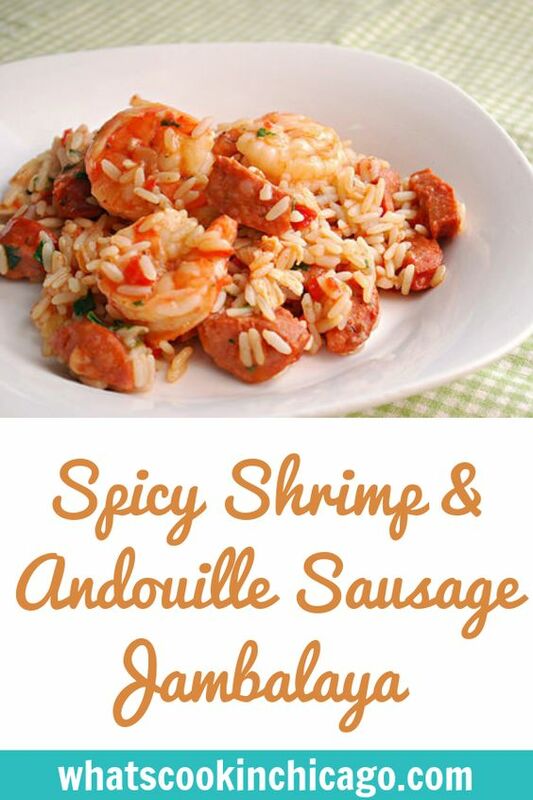 Ideally, the shrimp and sausage should be roughly similar in size so it results in a more cohesive dish. This jambalaya freezes well too, if you wanted to make this into a make ahead meal. I also found that the flavors really meld well if enjoyed the next day or as leftovers! Press SAUTE on the IP and heat 1 tablespoon oil until shimmering. Add onion, bell pepper, garlic and sausage. Saute for 5 minutes or until vegetables are tender. Add rice and toast briefly with the vegetables, for about 3-5 minutes. Next, add the spices - paprika, black pepper, oregano, onion powder, thyme, garlic salt and bay leaf. Stir to incorporate the spices into the rice and vegetables. Add broth, water, tomato paste, hot pepper sauce, and diced tomatoes to the pot, stir and bring to a boil. When the IP has beeped after cooking 12 minutes, allow your IP to naturally release pressure completely (allow several minutes for this to complete.) While naturally releasing pressure (also known as NPR or NR) the display will reflect numbers count up from 1. The numbers indicate how many minutes the IP has stopped cooking since it beeped (or how many minutes it has been naturally releasing pressure). No need to touch your IP while it naturally releases pressure. The pin at the top of your IP will drop when all pressure has been released and it's safe to open. Open up your IP when the pin has dropped (allow a few minutes for this to happen.) The IP will automatically default to the WARM mode. Add shrimp on top of the rice - do not stir and let the pot stand for 5 minutes covered. Remove the bay leaf, stir in parsley and serve with additional hot sauce on the side if desired.